Mark your calendars as fusion rock band, Indian Ocean, hits the city next week. The Delhi-based band will be sharing stage with Bangalore-based Raghu Dixit, the front man and founder of The Raghu Dixit Project, at Phoenix Market City. With the founding members giving way to new talent, a�?ita��s been a great journey over the past 20 years,a�? says Amit Kilam, one of Indian Oceana��s oldest members, and current drummer and vocalist. a�?Susmit Sen, our guitarist and one of the founding members, left in 2013, but wea��ve gone from one strength to another after that.a�? Now the band has a young new guitarist, Nikhil Rao, with a fresh and different sound. In fact, their latest album, Tandanu, released in July, has been called the banda��s best yet. a�?When we first came on the scene, people were shocked. Then they started liking us. And now our latest album is topping the charts. Wea��ve had an intense past one year, touring all overa��Hyderabad, Delhi, Kolkata, Bangalore, Mumbai and Pune. Wea��re a band that plays for all sorts of audiencesa��right from school kids to sit-down audiences in their 50s,a�? says Kilam. He confesses that he and his band mates are looking forward to coming to Chennai. a�?We played at the IIT in 2002 and we recorded Genie not far from the city,a�? he recalls. Apart from the concert itself, they also have recording commitments in the city. a�?Wea��re going to be working on a song wea��re really excited about,a�? he teases. a�?And once thata��s done, we have work in a small Bollywood film.a�? 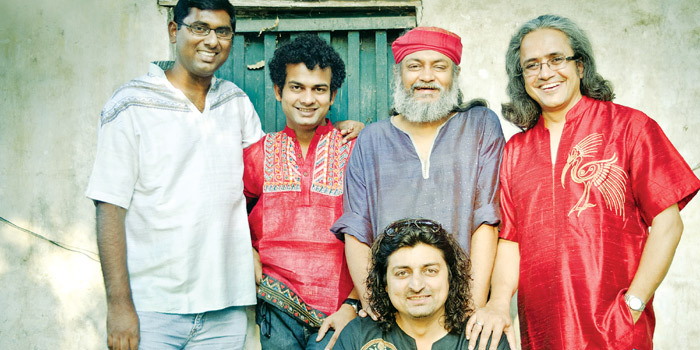 Catch Indian Ocean and Raghu Dixit live in concert on December 21, at 5 pm. Meanwhile, Dixita��known for integrating Indian ethnic music with styles from all over the worlda��gives us his take on performing in the city, the audience and what to expect: a�?Ia��ve played very few shows in Chennai. This time, with Indian Ocean, I really want to reach the audience and try out some new material,a�? he admits. a�?Ia��ve even got a Tamil song that Ia��m really keen on performing,a�?